This past week I was blessed to finally receive a piece to my puzzle I’ve been looking for for months. (A figurative life puzzle, but I do have a few literal puzzles with missing pieces I wouldn’t mind finding.) And it fits. Oh, it fits so well it’s miraculous. This piece makes sense out of so may other pieces I’ve collected. I am absolutely overjoyed to have this piece, both because the increasing discomfort I was feeling at NOT having the piece is now over and because the piece itself is pretty super deluxe. We begin to notice, besides or particular sinful acts, our sinfulness; we begin to be alarmed not only about what we do, but about what we are. This may sound rather difficult, so I will try to make it clear from my own case. When I come to my evening prayers and try to recon up the sins of the day, nine times out of ten the most obvious one is some sin against charity. I have sulked or snapped or sneered or snubbed or stormed. And the excuse that immediately springs to mind is that provocation [against me] was so sudden and unexpected: I was caught off my guard, I had not time to collect myself. now that may be an extenuating circumstance as regards those particular acts: they would obviously be worse if they had been deliberate and premeditated. On the other hand, surely what a man does when he is taken off his guard is the best evidence for what sort of a man he is? Surely what pops out before the man has time to put on a disguise is the truth . . . The second weakness this new puzzle piece brought out was fear. I have received overwhelming confirmation that this is the right piece for me. Absolutely overwhelming, and from multiple sources. I started to get worried that getting this much assurance meant that the piece was going to be really difficult. What a lack of faith that shows! This is a piece I’ve been praying to receive for months and months. I’ve been in tears, I’ve pleaded, I’ve done my best to increase my obedience, I’ve had my trial of faith that I’m pretty sure I passed. Instead of looking at this strong confirmation as something I’ll need in the future, I am beginning to recognize that this could be a tender mercy, an extra blessing, for what I’ve already done. In the fields outside of Bethlehem were shepherds. They were good and honorable men who believed and trusted in God and protected and cared for their flocks. 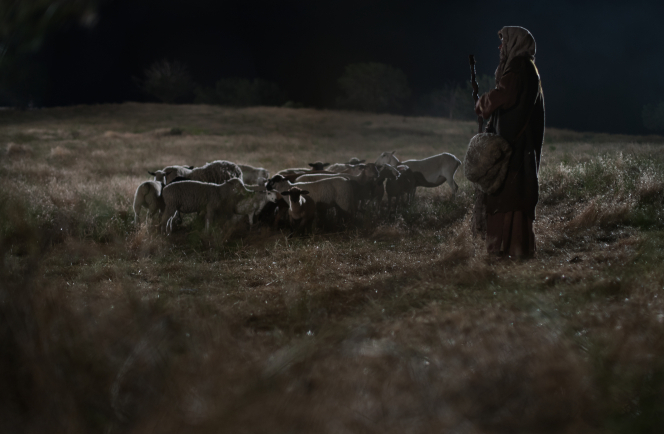 What began as an ordinary night for the shepherds became another treasured part of this most celebrated event. An angel of God appeared to them, “and the glory of the Lord shone round about them. . . .
“And the angel said unto them, Fear not: . . . I bring you good tidings of great joy, which shall be to all people. “For unto you is born this day in the city of David a Saviour, which is Christ the Lord” (Luke 2:9–11). An angel had just declared the coming of the long-awaited Messiah, but the wonder did not end with that declaration. The angel gave the shepherds a sign, a confirmation that the Savior had been born. The shepherds being there did not change the fact that our Messiah was born that night, but they were still given a sign of His birth and were blessed to see Him. They did not seek the sign, but because of their faithfulness one came as a confirmation. “Signs shall follow them that believe” (Mark 16:17). When we are doing our best to be righteous and obedient, we will be blessed abundantly with signs that we are on the right path. Probably not as many or as frequently as we desire, but with more than we need. Both these things are opposite sides of the same coin. The bottom line is I should not try to make assumptions or “read into” blessings I receive things that are not there, whether that thing is pride in overestimating my own righteousness or fear undermining the blessing. Both are unproductive practices. Recognizing and admitting weaknesses can be a painful process, but I can’t fix a problem I don’t see! I know that the first step to overcoming weaknesses is recognizing them. Only then can I begin to pray for the spiritual gift that will help me overcome them and work to achieve a mighty change of heart. This post just appeared in my wordpress reader today. I have no idea how that happened besides the Lord knew I needed to read it so he did something weird to make that happen. I am in this place, where I am reading into blessings, and being prideful after getting a blessing. I am so glad I recognized that it is pride so I can try to stomp it out again. Why do we do this?